A new survey of 9,300 Airline passengers from 32 countries, which was conducted by Populus for Satellite operator Inmarsat, has found that 55% now view inflight WiFi connectivity as “crucial“. Likewise 67% would consider rebooking to a different airline if it offered good wireless broadband. Inflight internet access is increasingly growing to become a key service differentiator, particularly during long haul trips, which is something that ISPreview.co.uk highlighted earlier this year when I took a short holiday trip to the USA and tested the on-board WiFi capabilities of a British Airways flight (here). Suffice to say it was a big improvement over previous generations of connectivity, albeit far from “superfast” (we got download speeds of around 2-6Mbps). All of this is being fuelled by a new generation of ground and satellite based technologies, which are slowly turning what use to be a horrifically slow and borderline unusable service into something much more productive and enjoyable. Naturally UK based Inmarsat are one of the key suppliers in this race (vested interest) and so it’s little wonder that their annual Inflight Connectivity Survey has highlighted the positives. * 81% of passengers would use inflight Wi-Fi if it was available on their next flight, rising to 91% of 18-30 year olds, 90% of business travellers and 90% of passengers travelling with children. * 65% of passengers that have had access to inflight Wi-Fi in the last year used it. 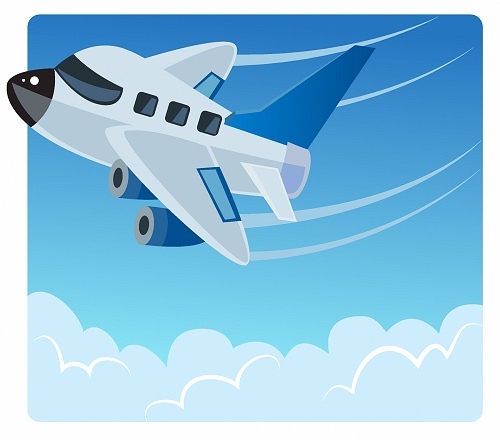 * 70% of passengers would be likely to recommend inflight Wi-Fi having tried it previously. * 74% of business travellers feel that inflight Wi-Fi is crucial, with almost nine in ten (87%) stating that if inflight Wi-Fi was available they would be likely to work and be productive on a plane. * Quality is key: for more than half of passengers (54%), no Wi-Fi at all is better than a poor quality service. * Over two thirds of passengers (67%) would be more likely to rebook with an airline if high-quality inflight. Wi-Fi were available. This likelihood to rebook rises to 81% of passengers travelling with children, and 83% of business travellers. * More than half (53%) would be willing to give up their inflight alcoholic drink to get online. Globally, passengers ranked inflight Wi-Fi as the fourth most important factor that they consider when choosing an airline, behind airline reputation, free checked baggage and extra leg room. However less than half of passengers globally (45%) travelled on flights where it was offered. “Wi-Fi is essential to daily life on the ground, and airline passengers see no reason why their time on a flight should be restricted or spent any differently. Whether it’s used for sending that important work email, entertaining the children or even connecting with fellow passengers, staying online is becoming a crucial part of the inflight experience for today’s airline passengers. Being ISPreview.co.uk we also need to reflect the other side of the coin here, which isn’t covered by Inmarsat’s survey. Cost could be a factor on short-haul flights as the pricing structure is often better suited to long-haul (not many short haul flights have it yet). Privacy is another issue because it will be easy for people sitting behind or to the side of you to see your screen (beware of typing passwords, card numbers etc.). The connection may also periodically cut out for a few minutes, which can occur due to all sorts of reasons (e.g. during the transition phases between different ground stations/satellites or interference) and of course good on-board connectivity will make it that much harder to escape your work. Not to mention that if you’re using a laptop on a night flight then people around you may not appreciate the extra tapping of keys. Finally, some airlines that claim to offer “good” or “fast” WiFi will actually deliver the exact opposite. We’ve had such an experience on Emirates, which is an otherwise excellent airline if not for the dire dialup like pace of its admittedly very cheap WiFi (cheap because it’s barely usable, perhaps). American Airlines also claimed to offer in-flight WiFi but after four flights with them we’ve yet to find one where the service actually worked. I recently took a trip to New York, JFK from Heathrow and back on BA using their new onboard wifi, and it was nothing short of appalling on both trips. About a quarter of the actual flight, I have internet access. The whole process was frustrating. Even trying to sign up to it too half an hour because the connection kept timing out. Guessing it was one of their older fleet with the old satellite system rather than the new setup? @Mark, I’m assuming it was one of the newer setups as BA made a big deal about it being one of the first routes that it was introducing wi-fi. If memory serves me correctly, VISA even teamed up with BA at the time to offer a discount to those who paid for the service with their VISA card would get a discount. I had a similar experience on a Heathrow to JFK flight. They took great pleasure in announcing we had WiFi internet access available on board but the reality was it was so intermittent and frustrating I couldn’t use it even for tasks like checking email. I tested it several times throughput flight and it was a consistently poor experience. Routes that pass over large oceans or remote global locations will remain dependant on the Satellite link. With the investment in ground installations such as the European Aviation Network [EAN] or similar systems then where possible the unit will switch to LTE. This will have the usual issues where depending on the planes route and location the WIFI performance will vary greatly and as the percentage passengers accessing it during the flights increase it can only get worse. The airlines will have to ration the access either via price or use if this is to be depended on. Most sensible business people take the night flight and catch up with some sleep so they are fit when they arrive. But I could have done with this on long Los Angeles flights sleeping over the Atlantic and working while crossing the USA. For sure, and more worringly is that Inmarsat’s business model is built around all passengers paying $10s to use the service, whereas I am sure passengers will expect to get it for free. Crucial, yet most airlines don’t have it. Norwegian has it, and it has worked on 1 out of the last 7 flights i’ve taken with them. BA are still trailing behind and saying we are introducing it .. for the last year and a half. In-flight WiFi is a gimmick joke. Until we get decent satellite bandwidth available. It’s only use might be for sending an email.. there’s just about enough bandwidth for that. Now someone is going to say this is anecdotal and when they use it they can stream 4K youtube videos while over the Pacific …. Personally it annoys me that people wait till plane is nearing takeoff to switch phones off. If wifi is available hopefully they will seat everyone together that wishes to use it and let people who socialise in the real world sit together. Better still hand out leaflets saying be friendly talk to people whilst boarding plane.